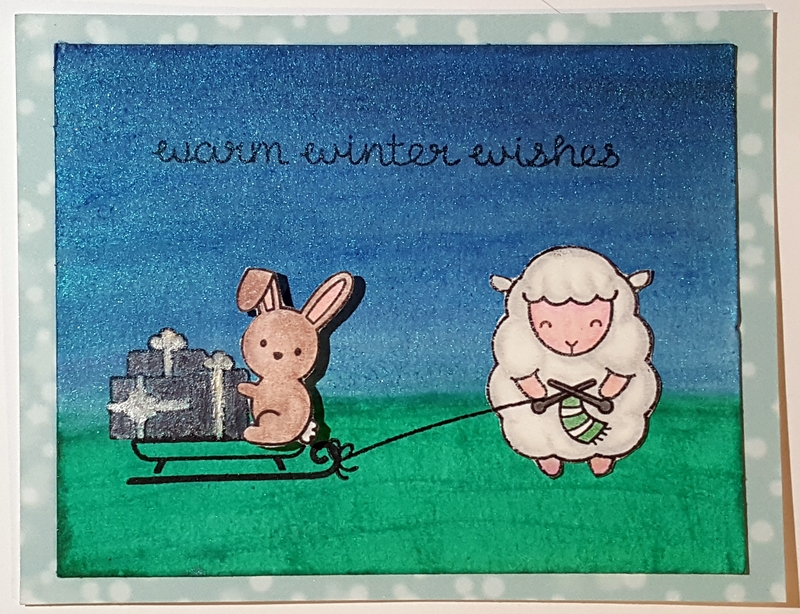 I made another Lawn Fawn card last night! I’ll admit that it looks a little bare as far as the background goes. I may have to pull one of my Lawn Fawn Snowy Backdrops Stamp Set from stock so I can white emboss some snow on there! For the background, I laid down some water and used Lindy’s Stamp Gang Magicals for the sky and Luster Mica Spray Mist for the ground. The dried that and then added some deeper and darker color using Derwent Inktense Blocks. Inktense blocks are permanent when dry so keep that in mind when you are using them. 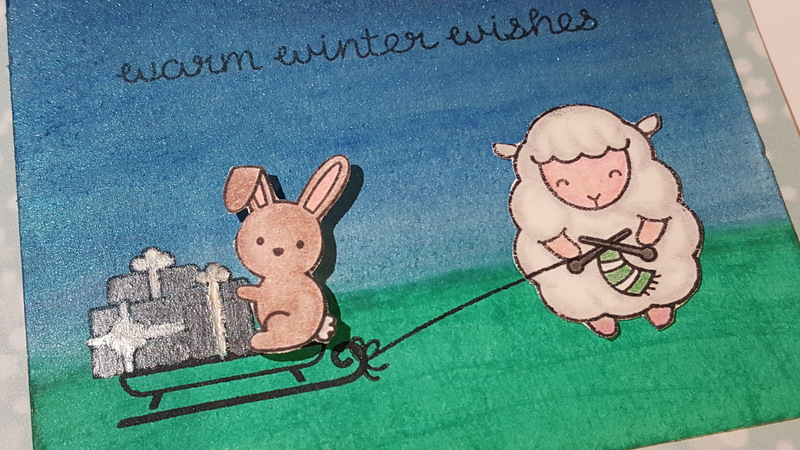 I colored my images from the Toboggan Together, Baaah Humbug, and Snow Day using the Ergosoft Colored Pencils just like I did in my last post and blended using gamsol and blending stumps. The presents were colored using Inka Gold for some fun metallic shimmer. I also used some of the Let’s Bokeh in the Snow Paper from Lawn Fawn in the background.